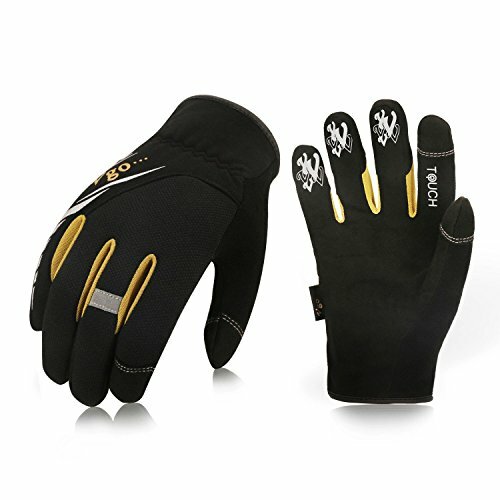 Vgo... light duty mechanic gloves are light, dexterous and provide an unbelievable fit with easy on and off flexibility. The snug-fitting elastic cuff provides a secure fit so you can focus on the tasks at hand. In addition, the high-visibility reflective stripe & print provides eye-catching luminance and the touchscreen material on thumb and index finger tips helps control smart phone or panel during works. View More In Gloves & Protective Gear.